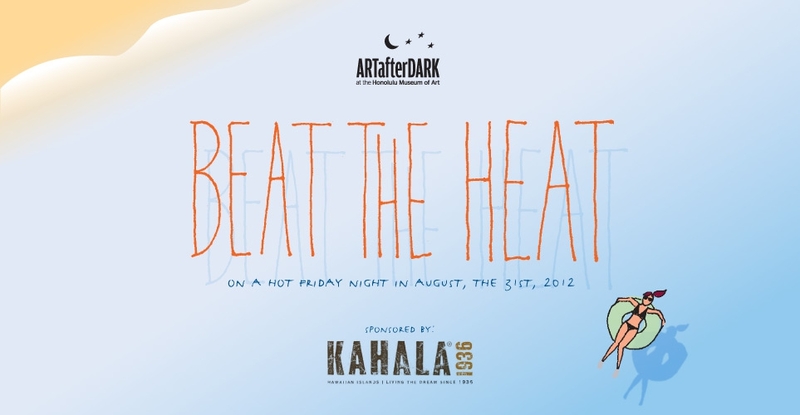 Step into liquid at ARTafterDARK: Beat the Heat, highlighting the exhibition Boardshorts: A Perfect Fit. Visit the KAHALA booth in Central Courtyard for special giveaways! Video artist VIZ latest sound-and-vision digital piece is inspired for surf and sand. Take a tour of Boardshorts: A Perfect Fit (meet docents inside the gallery) and participate in ?art activities for a chance to win prizes from our sponsor KAHALA. Head to the Doris Duke Theatre to see a special 9pm screening of Blue Crush. Cool down with refreshing fare from Town and Downtown. 1) FREE: Street parking on Beretania and Kinau Street from 6pm.